We, Orthodox Christian faithful, cry out to our heavenly Father with the heartfelt plea, “My compassionate Lord, call me back to Eden!” at Vespers on the eve of the Sunday commemorating Adam’s expulsion from Paradise. We stand together on the threshold of the Holy & Great Fast, preparing to depart on our forty-day sojourn; our collective gaze is trained on the horizon and on the dawn of the New Day, illumined by the brilliant light of the empty tomb of the New Adam; the light which signifies a promise kept through the act of great sacrificial love, which affords us the possibility of our return to Eden! 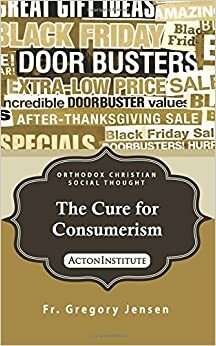 In these present days, we find ourselves amid a world saturated with the temptation of pride and conscious, deliberate overconsumption for self-satisfaction and the acquisition of material excess. It is becoming – at a frighteningly rapid rate – ever more devoid of acknowledgement of both God’s law, on the one hand, and the reality of sin, on the other. The deception of the godless idea which attempts to convince us that we can embrace all things that bring us pleasure and satisfaction “so long as no one gets hurt,” is nothing other than a dangerous restating of the serpent’s temptation of Adam and Eve to break their covenant with God by partaking of fruit not created to nourish them, and to acquire knowledge not meant for their comprehension. The result of this initial betrayal of God’s commandments did not limit the “hurt” to Adam and Eve only, but tainted all of humanity with the corruption of sin; for all of us – the fatal consequence of a personal act of betrayal, based on belief in the lie of the evil one that, “You will not surely die” (Genesis 3:4). We, God’s faithful, need to be vigilant in our daily lives, lest we, too, be tempted to fall for aggressive, secular, atheistic “enlightenment” which is not enlightenment at all! It is, rather, only a symptom of the growing distance between the Lord and His creation and the dangerous comfort with this distance humanity appears to display. Today, arguably, more than ever in the history of our world, the warning of the Psalm to “put not your trust in princes, in the sons of men, in whom there is no salvation,” rings loud and clear. And so, once again, our precious Mother, the Holy Church, gathers her children, the faithful members of the Body of Christ, into the protective embrace of the Holy and Great Fast. We will enter the spiritual springtime of renewal, refreshing the image of Christ in us by hearing and declaring the unshakeable truths of the Orthodox Christian Faith (1st Sunday). We shall be reminded that this life and its temporary, corruptible pleasures are not our goal, rather it is eternal, joyous communion with God in His Divine Energy (2nd Sunday). We will be witnesses to the victory of sacrificial, selfless love which brings light, life and hope, conquering darkness, death, and despair (3rd Sunday). We will be encouraged to struggle and battle in spiritual warfare, to ascend the ladder of virtues which reaches up to the Heavenly Kingdom (4th Sunday). Finally, we will be comforted by God’s offer to forgive all our sins – as small or as great as they may be – and we will be inspired to repent, reject the temptations of the world, overcome the passions of the flesh, and flee to our desert where there is peace and where we can hear the call to return to communion with Christ and to Paradise (5th Sunday)! Let us begin the all-holy season of fasting with joy; let us shine with the bright radiance of the holy commandments of Christ our God: with the brightness of love and the splendor of prayer, the strength of good courage and the purity of holiness! So, clothed in garments of light, let us hasten to the holy resurrection on the third day, that shines on the world with the glory of eternal life! We, your spiritual fathers, hierarchs, and constant intercessors, bid each one of you a blessed Lenten sojourn, to the glory of God and for our salvation and eternal life!